Stephen Sondheim's stage classic Into the Woods, a dark and subversive musical take on fairy tales, not only survives but triumphs in the composer's most unlikely collaboration with Disney. The Hollywood Bowl is set to be transformed into a land far, far away this Summer! Stephen Sondheim and James Lapin's timeless musical Into The Woods will spread its musical magic over three nights at the historic venue during an extra special staged concert production. Forming part of its summer 2019 programming, the fairy tale-filled song and dance spectacular is packed to the rafters with some of Sondheim's most memorable show tunes including 'No One Is Alone', 'Children Will Listen' and 'Giants In The Sky'. First opening on the Great White Way in 1987, Into The Woods won three Tony awards for its Broadway run, garnering the accolades for best score, book and lead actress (Canadian stage and screen veteran Joanna Gleason). It won yet another Tony for Best Revival of a Musical when it returned to New York in 2003 and was immortalized on the silver screen in 2014 with a feature film starring Meryl Streep, Anna Kendrick, Emily Blunt and James Corden. 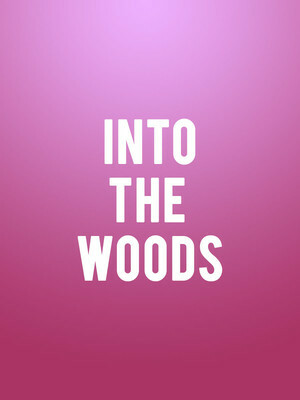 What Is Into The Woods About? Sondheim's trademark angular melodies and Lapin's witty lyrics wrap around an amalgamation of a series of Brothers Grimm tales. The Baker and his wife are at the center of the web of stories, driving the action with their deep desire to have a child. When they're visited by a local crone, she reveals she placed a curse on their family ages back and will reverse their barrenness if they acquire crucial ingredients for one of her potions. Together they set off, meeting a host of colorful and familiar characters on the way. There's Little Red, who is trying to escape the clutches of the big bad wolf and visit her grandmother, the witch's very own daughter Rapunzel, Cinderella, who yearns to go the King's festival, Jack, whose beanstalk heralds a very angry giant and the princes chasing after their long lost loves. Sound good to you? Share this page on social media and let your friends know about Into The Woods at Hollywood Bowl. 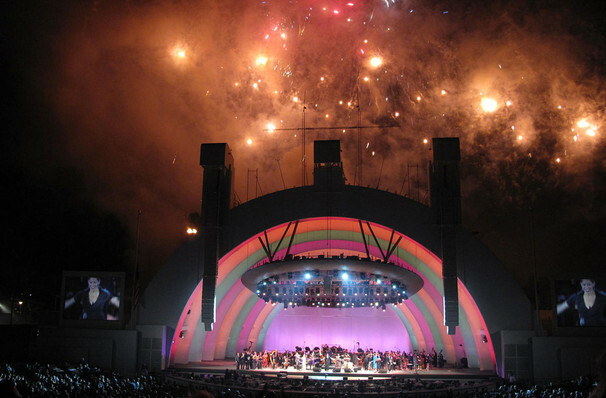 Please note: The term Hollywood Bowl and/or Into The Woods as well as all associated graphics, logos, and/or other trademarks, tradenames or copyrights are the property of the Hollywood Bowl and/or Into The Woods and are used herein for factual descriptive purposes only. We are in no way associated with or authorized by the Hollywood Bowl and/or Into The Woods and neither that entity nor any of its affiliates have licensed or endorsed us to sell tickets, goods and or services in conjunction with their events.